The four-storied house reflects the fascinating charm of traditional Swahili architecture mixed with eclectic furnishing and a personal touch of finest style and comfort. The whole house is equipped with unique pieces of tribal art. 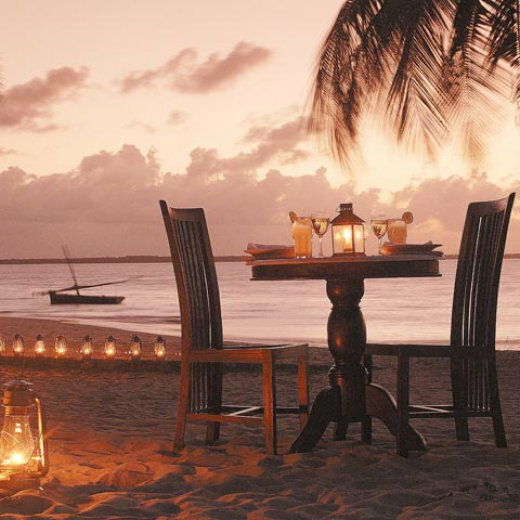 The rooms are furnished with Lamu four poster beds, mosquito nets, ceiling fans and dressing tables. The ensuite bathrooms have hot water showers. On the ground floor, there is an additional third bedroom. The third floor has a spacious dining area and an adjacent living room. The staircase leads to the fully equipped kitchen with taps that provide purified water, sanitized for drinking and cooking. The kitchen has a dining area.